Wow, already thyinking about 2013 USAC Format & Schedule. The few USAC races we attended in 2012 were ran so well and so much fun, we are already thinking about more races in 2013. Any ideas (Official or unofficial) about 2013 schedule and format? Happy Upcoming Holiday Season to all! Expand the Dirt Triple Crown to a Dirt Pentadecuple Crown. Over 300 views and only 1 comment means lots of people are looking for any projected scheduling for next year. USAC we would love to see any info for 2013 race schedule, even if marked and labeled "Tentative". I know I am trying to put together a tentative race schedule for next year and would love to start planning ASAP. Will USAC run 20 races next year with 5 regions of 4 races per series(West, NorthEast, Mid-West, Southern & Dirt)? Should Dirt be its own series or should each series include 1 dirt race? 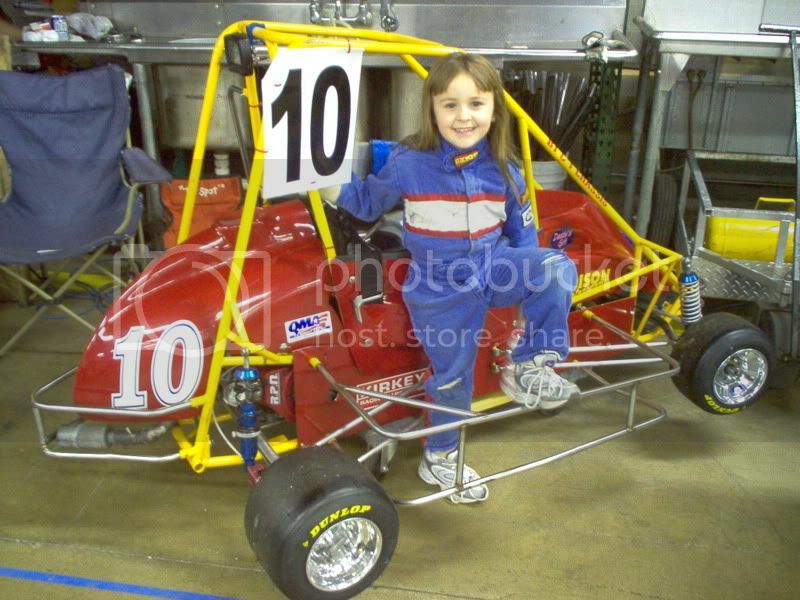 USAC did such a great job last year, will they be able to expand on it? Just looking for discussion from the over 300 views, what do we want as a membership? I am sure USAC will get the info out as soon as the have it all figured out, the 2012 season just ended! I just wanted to thank everyone for their support during the 2012 Mopar .25 Midget "Gen Next" season. The series has grown dramatically over the past several years. As we move toward 2013 a new "Gen Next" format will be in place focussing on a more regionalized platform. This format will make it easier for more drivers and families to compete for a national championship than ever before. Like in years past our "Gen Next" schedule will be released during the IMIS trade show in Indianapolis. Please stop by the booth and check it out if you are in town for the event. Thanks Kyle, was just looking to get conversation started on what may happen next season. USAC did a great job in 2012 and I am sure will build on it for 2013. Regionalized racing opportunties for those that can't travel as much is great along with the ability to travel this great country and race USAC .25 is an awesome plan. I look forward to seeing the 2013 race schedule. Happy & Safe Holidays to All! I don't know but the first year USAC started the Kokomo Speedway had a race and it pulled many drivers in and the track prep was the best racing dirt track we have raced on since we been racing 25 midgets. I've talked to the speedway and they have been wanting another race but nothing so why not go back?